As marketers in a content-driven landscape, we are responsible for producing huge amounts of content day in and day out. But, most of us don’t have the time, staff, or budget to publish enough great (or, even good) content. We’re doing the best we can, but it’s impossible to stay ahead of the demand. 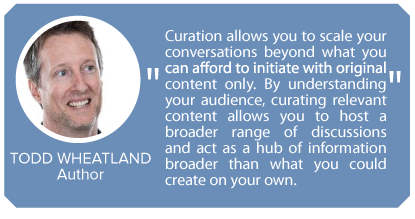 HOW you can put content curation to work for your brand including a detailed, step-by-step look at what, when, where, and how to curate effectively. WHY you’re curating content in the first place – a full-circle look at performance, measurement, and optimization. 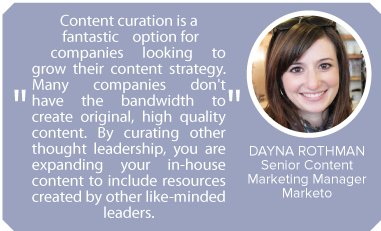 What’s the single biggest benefit of curation to content marketing? 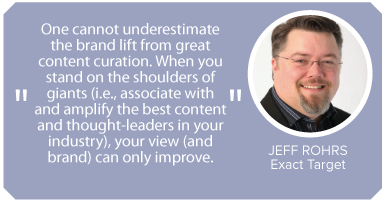 For an even more in-depth analysis, download the full eBook on the topic, The Ultimate Guide to Content Curation. to create, nurture and grow a company’s customer base." 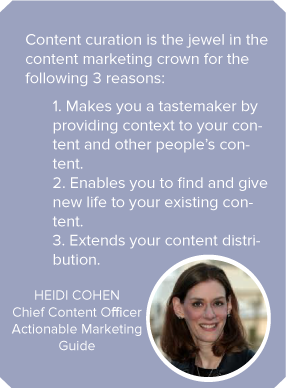 Why Content Curation? Why Now? The path to purchase used to be a straightforward line from Point A (buyer need) to Point B (conversion). It was easy for marketers to guide and even control the prospect’s journey along this narrowly defined series of steps. But, you know all that’s changed. Today’s buyer is hyper-connected in real time via multiple devices and channels to an inexhaustible avalanche of information. This buyer isn’t waiting for you to tell him what to do next. In fact, according to Sirius Decisions, 70% of the buyer journey is completed without any sales involvement. So, how are buyers making their purchase decisions, and – more importantly – how can you influence those decisions? Businesses are turning to content marketing, the process for developing, executing and delivering the content and related assets that are needed to create, nurture and grow a company’s customer base. But, as more businesses jumped onto the content marketing bandwagon, it has become difficult for marketers to maintain the frequency and quality required to compete. 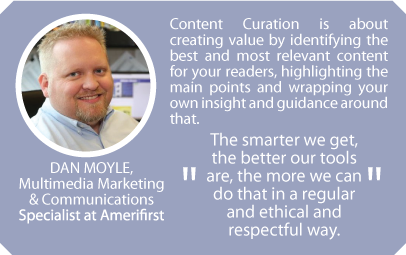 Content curation helps you compete effectively and efficiently, and it provides unique benefits that are critical in today’s market. Improve Search Engine Optimization: Curated content becomes additional indexable pages that provide more doorways into your site via search engines. Establish Credibility as a Thought Leader:Curated content helps you develop go-to web resources that improve your credibility and encourage visitors to trust you as the authority on your topic. Support Lead Generation: Curated content drives incremental site visits that increase the potential for landing quality leads. Streamline Lead Nurturing: Curated content is easily repurposed via newsletters, emails, and other channels to make lead nurturing simple and consistent. Complement Social Media & Blogging: Curated content supplements your social media publishing schedule and helps facilitate social media conversations not only with prospects and customers, but also with peers. Added value: perspective, insight, guidance. You can curate content from a wide variety of online sources including trade publications, social media profiles, blogs, scientific journals, news outlets, and more. You can organize them using rich and tailored taxonomyby grouping and categorizing related content. Content curation is a fundamentally human process. At the center of it all is the curator – you – hand-selecting which content to share, determining the organizational method that will increase accessibility and usability, and adding context and insight that will aid your audience in gaining a deeper understanding of the content. Content curation is not content farming, which involves unethically pirating third-party content and publishing high-quantity, low quality content. 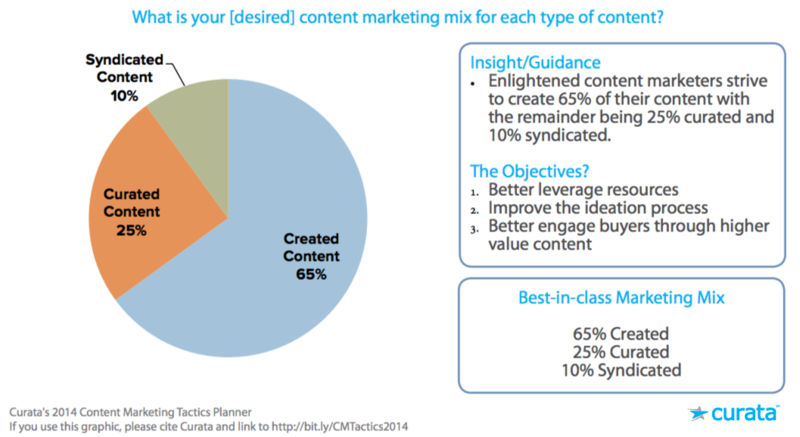 According to a recent report from Curata, best-in-class marketers, are creating 65% of their own content and syndicating 10%. For the remainder of content, these marketers are employing content curation, as seen below. Inform internal stakeholders on relevant news. For example, you might use curation to keep your sales team up-to-date on your competitors and industry. Before you start curating content, ensure that you have one of these clear goals in mind. Picking your topic is a essential first step in developing a successful content curation program. Unlike other parts of the curation process, which are performed on a repetitive basis, picking your topic is typically something you should only need to do once. Of course, a topic area could evolve down the road, but you can make sure that you’re starting on the right foot if you engage in proper due diligence. This topic should fall in the middle of the venn diagram. Below, I will walk through three tests you should take in order to choose the perfect topic. Use either interviews or a simple survey to get a sample of your customers’ opinions about your topic — how important it is, whether they feel they have a information on it already, what specific questions they already have. Credible. Is this content from a publication that I trust? Is the content from a reputable site or blog? Or is it from a low-quality site with no credible authority in my subject area? Validating. Does the content offer additional insight that validates my point of view? Unique. Is this fresh content that will provide my audience with new information or insight that they haven’t found elsewhere? If the content is available elsewhere, is my site doing a better job of highlighting and contextualizing the content? Picking quality articles to share with your audience is the first step. Then, you must decide how often to curate. 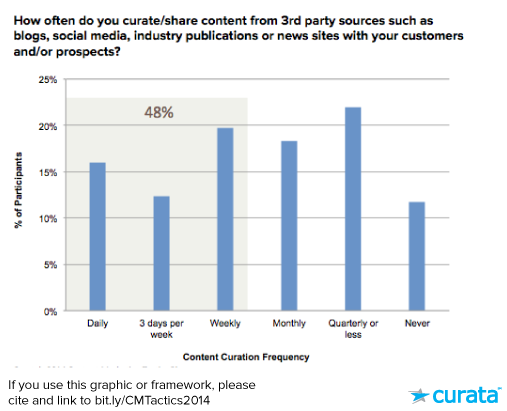 While the answer varies depending on your audience size and the cadence of your other communications, the Curata Content Marketing Tactics Planner says 48% of marketers are curating at least once a week. A dedicated site is sometimes called a microsite, and is a site populated primarily with curated content. New Title- Don’t be afraid to edit the title so it’s as relevant as possible to your audience. 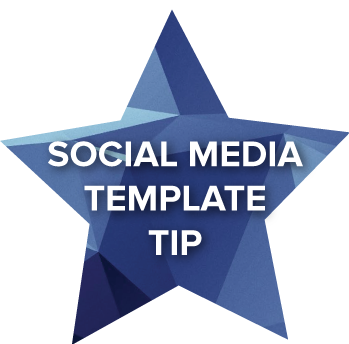 And consider adding an image (if there isn’t one), or replacing the image with something that’s more likely to catch your audience’s attention. Use design tools such as Canva or photo libraries like Shutterstock or Death To Stock Photo. An email newsletter is a recurring communication sent on a regular basis that contains a digest of all recently curated items or a mix of curated and created items. Recent, original pieces – This can include blog posts, infographics, webinars, or any other content that your audience will find useful and/or interesting. Relevant, timely, third-party sources –You may include articles you’ve curated via your blog and social media profiles. Call-to-actionInvite your readers to click through to learn more, download an eBook, request a demo, etc. Contact information and share buttons – Make it easy for readers to reach you and to share your content with their colleagues. Social media promotion includes status updates with links to curated content, shared via Twitter, Facebook and LinkedIn. -New Title –Edit the title so it’s as relevant as possible to your audience. An embedded widget is a small pane integrated via a code on your existing web properties used to display content delivered via a feed. After you have found, curated and shared content, it is important to measure its success. 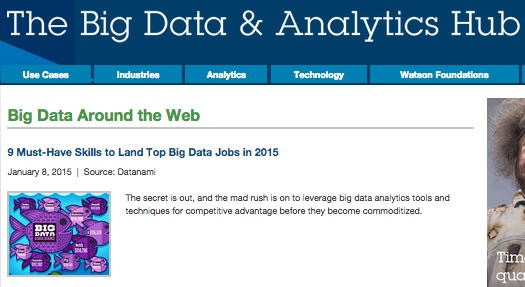 Use this analysis to adjust your future curation strategy. 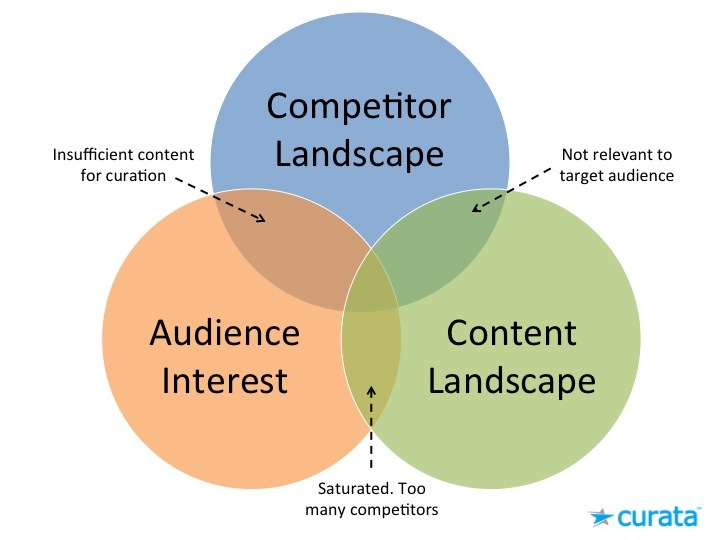 But, keep in mind that content curation is different than many other content marketing strategies because it relies on third-party off-site content. Let’s take a look at metrics to pay attention to specifically for content curation initiatives, and just as importantly, misleading metrics that you should ignore. . . Page Views and Visitor Growth. Similar to other content marketing campaigns, you can simply track traffic growth month over month in Google Analytics for page views and visitors. As your site grows both in terms of authority within your target audience by reputation, and in terms of search engine optimization (SEO), you should hopefully see a steady and healthy growth in traffic numbers. Frequency & Recency. If you are providing valuable content, then your visitors will keep coming back to you as a trusted resource for a topic. If not, your visitors will click off to a third-party article, and will likely never return again. Either way, the metrics will reveal this. Count of Visits measures how many times are your visitors coming back to your site. If the content you are curating is useful, your site will be good at retaining repeat visitors. Total Site Visits. The most successful curators focus on a single specific topic for a select audience. If you are doing a good job curating, you are likely doing this too. As a result, you should set your expectation appropriately when it comes to the total addressable site visitors. 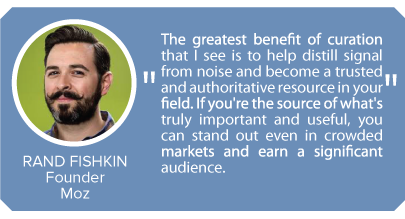 If you have a highly specific topic for a particular industry niche, even if you have a few hundred visitors a day, you may be doing a great job. Comments. While commenting on your curated content should not be ignored entirely, it should be taken with a grain of salt. It’s naturally for your readers to comment directly on the original article where content is written. If your comment count is low, that may be in fact be alright. Engagement, Bounce Rate & Visit Time. These metrics tend to be high on sites with large amount of original content, where users can spend a lot of time on the site in a single uninterrupted session. However, with curated sites, the content consumption dynamics are very different. Visitors often leave the curated site to view interesting third-party content, and return again to read more content. As a curator, you should not be overly concerned about engagement, bounce rate and time on site numbers. Subscriber Growth. Assuming you have a sign-up form for your newsletter on your site, list growth is one of the most important metrics to watch. A steady growth in subscribers demonstrates that people visiting your site find your curated content valuable enough that they want the content pushed to them via email. Opt-outs & Unsubscribes. On the flip side, you should keep an eye on opt-out and unsubscribe rates. If you find that many of your subscribers are leaving, there are a couple of things you can do: email them less often (perhaps change from a daily to weekly list), segment your list by topic (so the content is more relevant to them), pay more attention to the content you are curating (perhaps you are being too self-promotional), or be more consistent (you may be curating sporadically which makes you less trusted). Click Through Rate. Monitoring your click through rate is important to see how valuable your content is in isolation. If you find that you your audience is clicking through on your curated content, then its relevant, timely and valuable. However, on the flip-side, a low click-through rate can be deceiving. Many readers may simply get value by skimming the headlines, even without clicking through. Followership/Fan Growth. If you are sharing your content over social channels such as Twitter or Facebook, a good metric to track is your followership or fan page growth. While a larger number of people may be viewing your content as they browse Twitter, the ones who value your content and want to continuously receive it will follow you, (or they may simply be hoping for a follow back). Retweets. Another social media metrics to track is retweets. While this is a metric for any content marketer, curators can employ this little trick to better track the spread of their curation efforts: when you share a third party articles on Twitter, retitle the headline of the article. This allows you to share your perspective, make it more appealing but also more cleanly track retweets. Views, Click-throughs, Subscriptions. To measure the success of a feed, you will want to see if it’s being viewed and if people are subscribing to it. 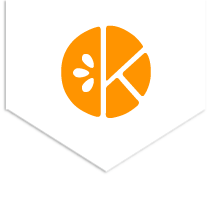 To track the consumption (views, click-throughs) and retention (subscriptions) of your feed, use feed analytic tools, such as FeedBurner and FeedBlitz. While many of the metrics above are in common with the usual content marketing metrics, curation does change things quite a bit by providing a different content consumption experience. New curators are often thrown off by strange and often disturbing looking metrics such as bounce rates which they should be ignoring. Hopefully this provides you with a quick overview of the metrics that work best for curation. The most effective marketing is no longer just about your product or even your customer’s needs. Today’s most evolved marketers understand that their strategy needs to include a larger ecosystem that considers their entire market and industry. We hope, having read this guide, that you now have a better understanding of exactly how content curation helps you do just that. For more content curation resources and a bonus 12-step content curation checklist, download the full eBook on the topic, The Ultimate Guide to Content Curation.